Brady A. Roberts is a second-year masters in public policy student at the Harvard Kennedy School. Despite an apparent commitment to bipartisanship, the ideological throughlines of the week’s events were clear: executives of Boeing, General Motors, and Johnson & Johnson were there; labor activists were not. Lobbyists representing The Duberstein Group and CVS were there; community organizers were not. 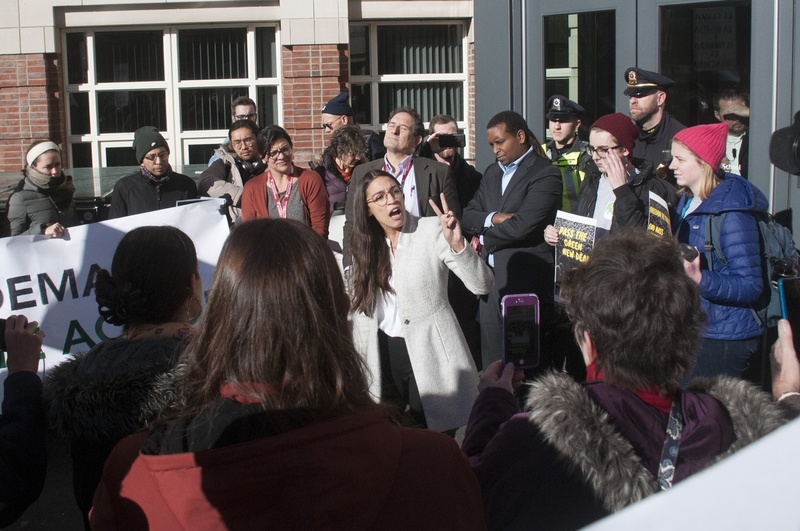 Harvard academics and expert technocrats led many panels; activists and students protested outside Taubman Hall. This incoming class of Congressional freshmen is one of the most diverse in history. More women were elected than ever before. More people of color, including the first ever Muslim congresswomen and Native American congresswomen, will soon be sworn in. However, their diversity goes deeper than race and ethnicity. This class is comprised of representatives who express views that are more pro-labor, pro-environment, and pro-immigrant than ever before. Indeed, some sessions hosted by the Harvard Kennedy School's Institute of Politics seemed to ignore the topic at hand, where participating members-elect instead focused on issues they ran on and planned to bring to Washington. In one session on business and government, representatives such as Congressman-elect Chuy Garcia (D-IL) and Congressman-elect Andy Levin (D-MI) made forceful arguments for passing single-payer, universal health coverage. Other members in attendance, all Democrats, similarly argued for universal coverage through different mechanisms. Another Congresswoman-elect used her opportunity to speak on this panel to wonder aloud if capitalism is working for young Americans. Maybe it's time the events meant to prepare freshmen representatives for their careers in Washington are as diverse as they are. Bipartisanship should not default to the status quo. Bipartisanship should embrace difficult policy conversations and provide space for CEOs, as well as labor leaders, community organizers, nonprofit directors, educators, and advocates, to teach our representatives what matters most. Perhaps former Goldman Sachs executive Gary D. Cohn was right when he remarked that the freshmen representatives “don’t know how the game is played.” Perhaps instead, we should entertain that is why they were elected. Rejecting the status quo as a given should be celebrated, not derided, and the IOP can do better than a ceremonial handing over of the the reins of power in grandstanding events with an ersatz commitment to bipartisanship. Instead of solely hosting sessions run by CEOs and leaders of industry, what if the IOP hosted a panel on immigration reform, run by students whose DACA status is under threat? What if a panel of working parents spoke on behalf of the needs of millions of Americans for paid family leave? 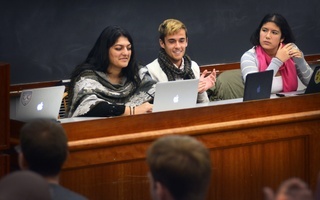 The IOP has an opportunity here to create a new event, one that is inclusive in its guests and representative of the challenges facing Members of this freshman class. True bipartisanship is not paying lip service to advocacy and social justice in between sessions on austerity and technocratic restraint. Instead, in an era where our institution attempts to reverse the loss of civility and compromise among its elected officials, the IOP can design an orientation that represents the true ideological diversity of our country. Brady A. Roberts is a second-year master in public policy student at the Harvard Kennedy School. Undergraduate Council representatives are making a more concerted attempt to hold office hours this semester in an effort to better comply with the body's own requirements.